Patty Shaw began her musical studies at the age of 8 and has enjoyed a successful performing career since 1977. She is a Colorado native, and attended Wheatridge Senior High School and after graduating from the University of Colorado at Boulder on a music scholarship, studying music performance and education. She studied woodwinds with Dr. Phillip Aaholms and jazz with Jack Foote, and played in the wind ensemble under the direction of Alan McMurray. Patty has been a member of many community concerts bands in the past including: The John Philip Sousa Band of Colorado, The Metro State Community Concert Band, and now plays clarinet the Mile-High Freedom Concert Band. She has also played in the past with Jazz West (Zing Big Band), and The Joe Peterson Orchestra, as well as a jam blues contemporary band The Coyote Poets of The Universe. 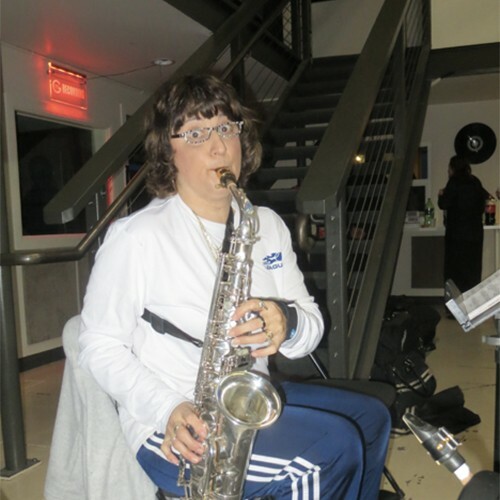 Patty plays for Affix Entertainment and travels to many senior living centers to perform as “Saxypat”, as well as in the Mile-High Dixie Band through Affix. She also has her own private music business for weddings, special occasions, etc.